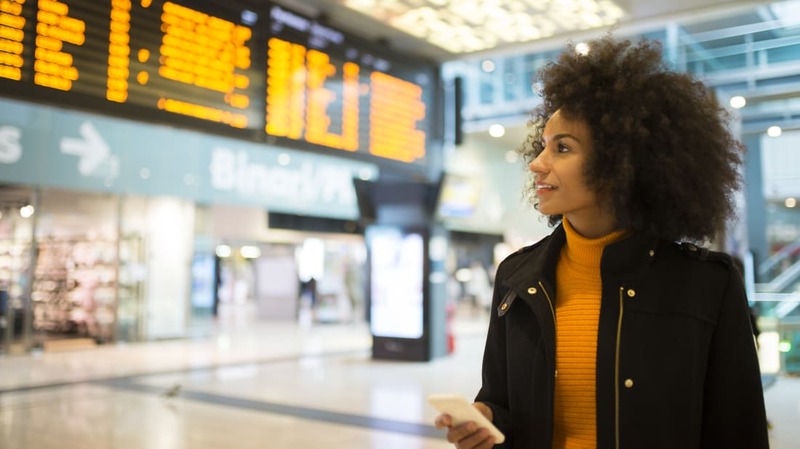 Making travel plans for the holidays is stressful enough, so when you learn that you booked your flight for the wrong date and you have to pay $200 to change it, you may be tempted to stay home until the new year. But switching a flight after you've already paid for it doesn't have to be expensive. With some insider knowledge, you can rearrange your travel plans while avoiding the extra fees all together. If you haven't booked your flights for the holidays yet, start by selecting an airline that will grant you some flexibility. According to Free, Delta, United, and American Airlines are all on the high end when it comes to cancellation fees, charging $200 or more if you want to switch your flight. Allegiant and JetBlue charge some of the smallest fees—as low as $75 depending on your ticket—and Southwest charges customers nothing at all even if they cancel the day of their flight. There's one exception to these policies that affects all airlines flying out of the U.S.: the 24-hour rule. If you buy a ticket for 11/12 only to realize you meant to book it for 12/11, you're entitled to a full refund mandated by the Department of Transportation, as long you booked at least seven days ahead of the departure date. All you need to do is request a refund within 24 hours of making the mistake to get your money back. If the 24-window has already passed, check to see if your credit card offers trip cancellation insurance. Depending on the reason for your change of plans (illness, injury, bad weather, and even getting laid off may qualify you), your card may reimburse you up to $10,000 for the unused ticket. And even if you don't have travel insurance, such emergency circumstances may qualify you for a refund if you plead your case directly to the airline's customer service department. When all else fails, your best option is to wait until the absolute last minute to switch your ticket. There's a chance that weather or scheduling issues may push back the flight or cancel it all together—if that's the case, you may be able to get a refund on a flight you never intended to board. After getting your tickets sorted out, all you have to deal with is packing, parking, and getting through security before going home for the holidays. Here are some tips for making the process less stressful.